These things are absolutely delicious! I don’t understand how the Brownies inside stay perfectly moist! I’ve purchased these babies on and off several times now… in bulk (here) and even did a full review on them (here) and a more recent review (here). With that being said, I had a bit of trouble finishing up the latest pack (which was only one pack). After almost a year or so, I guess I’m finally starting to get sick of the Chips Ahoy! Brownie Filled Cookies, sadly. They still taste amazing, but I guess I’m kinda’ over them. 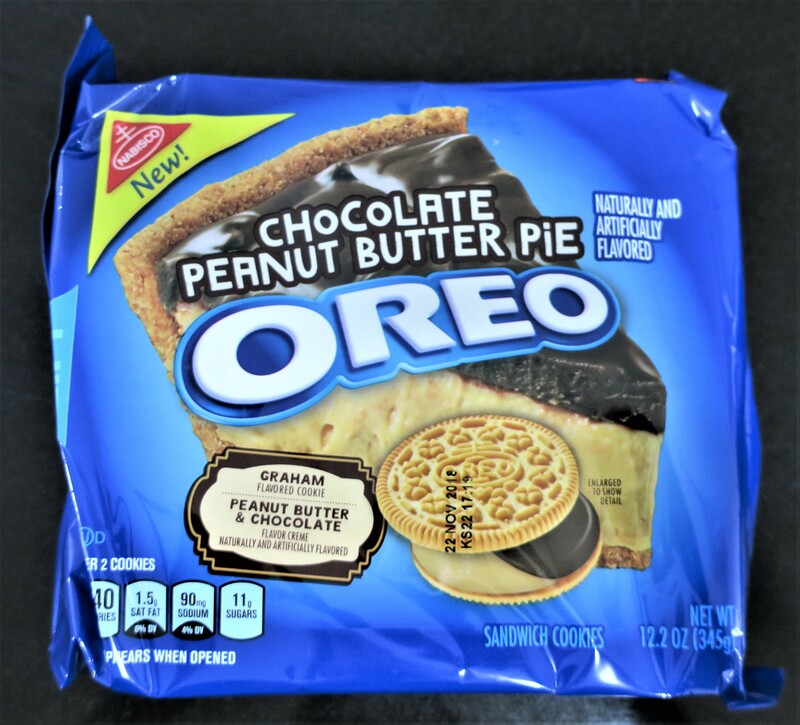 Graham flavored Cookie, Peanut Butter & Chocolate flavored Creme! “Break me off a piece of that!” (RIP Tai) I’m not big on Chocolate, but I love all things Peanut Butter and when you sandwich the two between Graham flavored Biscuits (to temper the sweetness), you get a whole lota’ yummm! I’ve tried the Oreo Red Velvet Cookies (haulage here) and the Oreo Wafer Sticks (haulage here), but they were nowhere near as good. 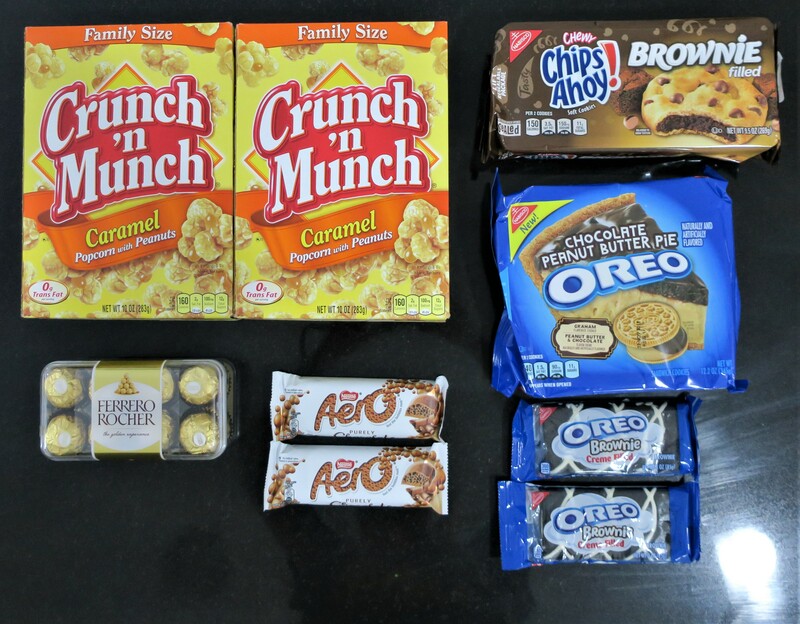 Truthfully, I go through these phases with the Original Oreos (sometimes I’m into them and sometimes I’m not), but I really enjoyed the Thin & Crispy Oreos (haulage here) which were perfect for dunking in my morning pseudo-coffee drink! The Oreo Chocolate Peanut Butter Pie is a really tasty twist on the Original! 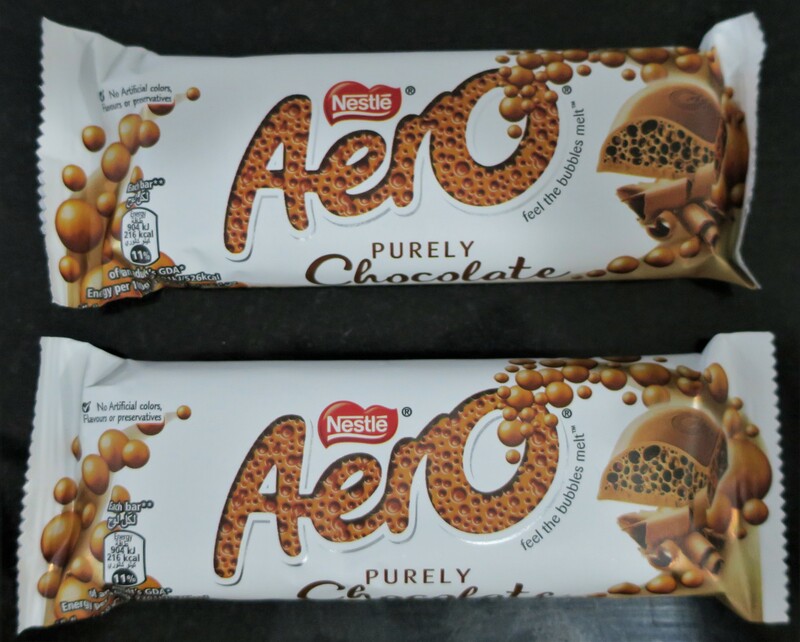 It’s a bit rich, which is why I’ll only have two, max, but it’s ideal for sharing. Surprisingly, neither my friends nor family liked this stuff, but I did! These were completely new to me (never seen them around Sultan Center before). I gotta’ be honest, the packaging kinda’ skeeved me out (why was it transparent and why was there a little bit of condensation action going on? ), but my curiosity got the better of me. At first, I grabbed just the one, but went back seconds later and grabbed another (I just knew), on the off-chance that this stuff was good. I inhaled one right after taking the photos (in the kitchen) for this post. It was perfectly soft (yet not as crumbly) and moist and flavorful! It wasn’t just good. It was insanely good! 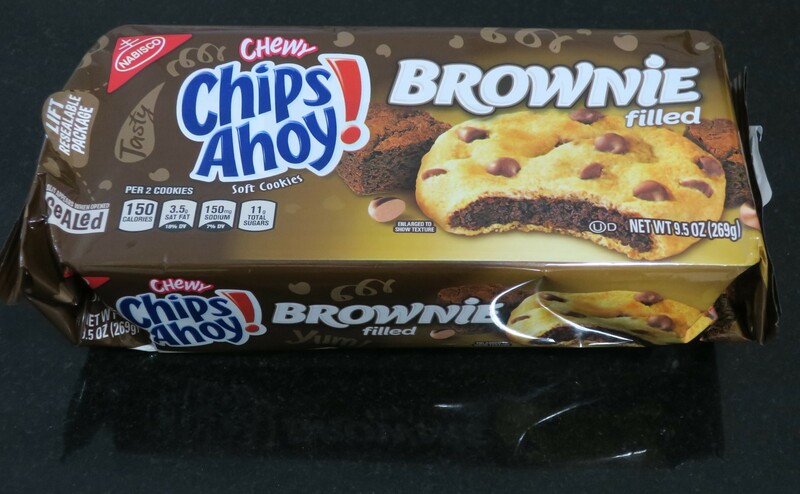 Unlike the Chips Ahoy! 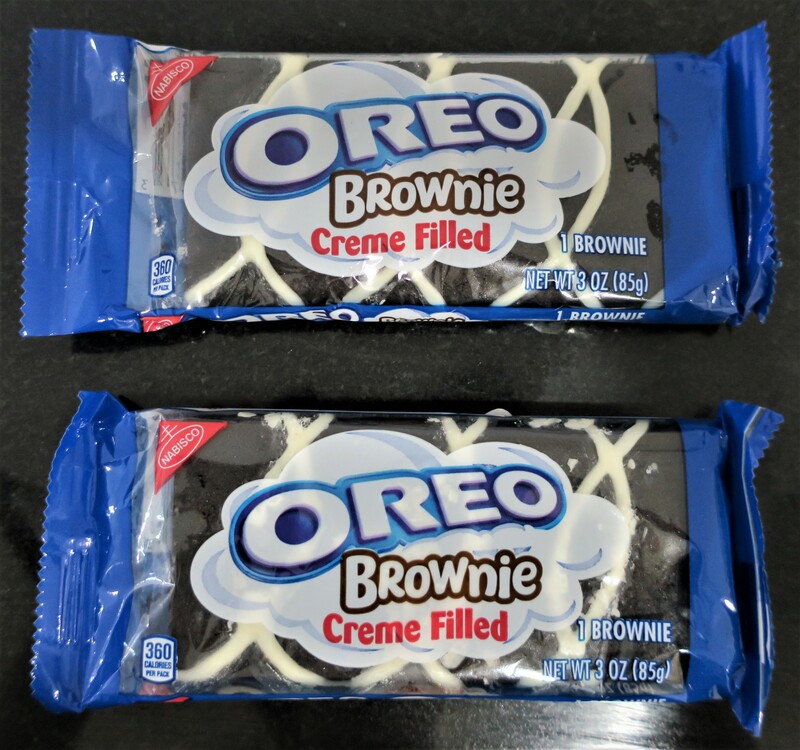 Brownie Filled Cookies, these Oreo Creme Filled Brownies cut the middle man out and led you straight to Brownie Heaven! These aren’t a favorite of mine by any means, but I do indulge (haulage here), from time to time. I don’t crave them often, but when I do, I really, really do (hence the 16pc pack)! With that being said, I also got this thing to share with the family (everyone loves these). 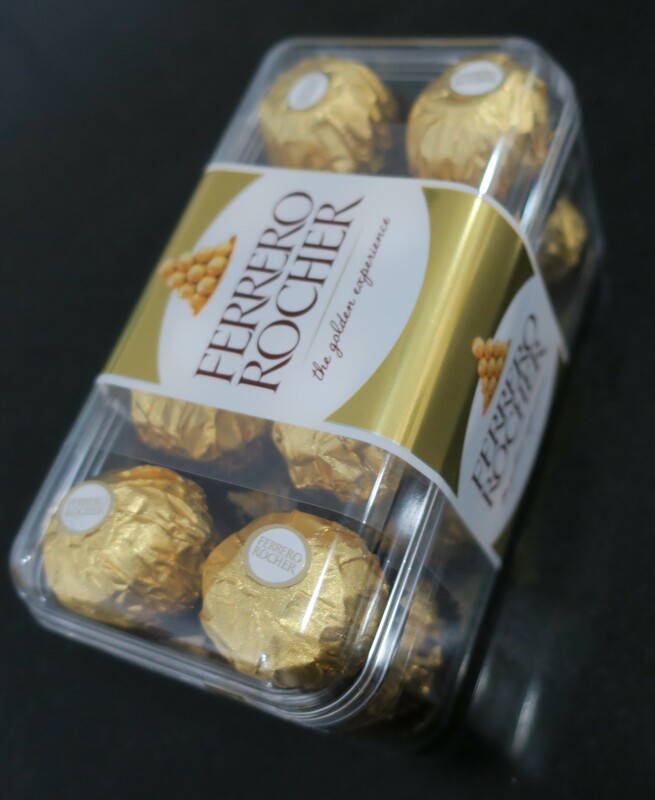 Personally, with these Ferrero Rocher Chocolate Truffles, I’m one and done (too rich also blech, nuts). I’ve always loved Caramel Popcorn! Unfortunately, I could only ever get them from movie theaters, back in the day. My mom would somehow always come back home after an outing with a huge paper cone overflowing with Caramel Popcorn for me! To this day, whenever I go to watch a movie in the local theaters, I’ll always order some stinky nachos (double cheese) and a small Caramel Popcorn (‘cuz it takes me a year to go through the medium, never mind the large size). However, if we (friends/family) were watching a movie at home, for whatever reason, I’d usually opt for popping Jolly Time “Ultimate Cheddar Cheese” Microwavable Popcorn (that’s its actual name) instead. With that being said, when I stumbled on Orville (lol) Redenbacher’s Poppycock Cashew Lovers Gourmet Popcorn (haulage here), I was obsessed! Crunch’n Munch Caramel Popcorn with Peanuts (haulage here) was equally yummy, (except with better packaging)! 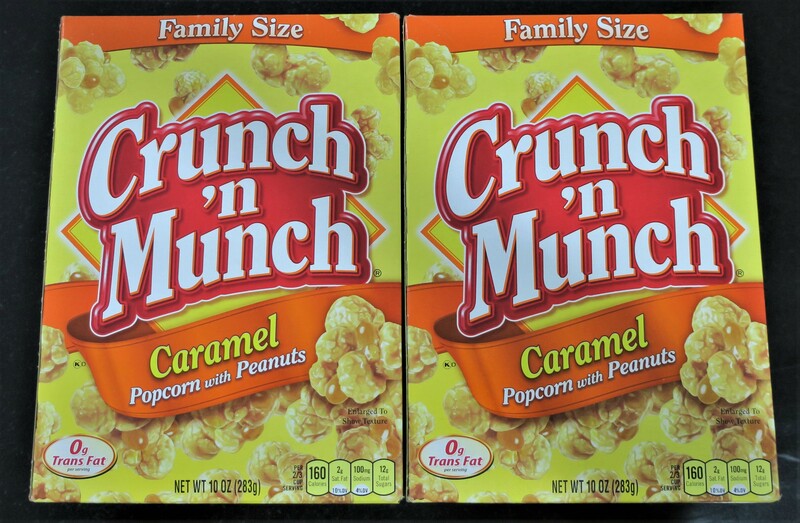 Almost everyone I know is on the Keto Diet (eww dieting), but even they can’t restrain themselves from grabbing a handful of Crunch ‘n Munch Caramel Popcorn (it’s just that good)! Not to sound ungrateful (I’m happy that I even found these) but… I kinda’ prefer them to be mixed in with Cashews instead of Peanuts. Still… so yummy!